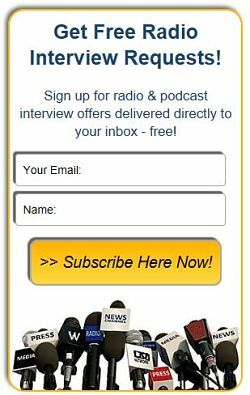 Daily Newsletter Ads Payment - Radio Guest List.com - How to Get Radio Interviews and Find Podcast Guests! Thank you for submission of your ad information. We look forward to promoting your expertise or products to our worldwide audience of authors, experts, radio hosts, podcast bookers, television show producers, and publicists. click to make payment now below. You can choose between ordering and paying for all ads at once now, or scroll down to "subscribe" to pay for one ad per month. Use the pull down menu to select the number of ad insertions you would like, enter your product or expert's name, and click "Buy Now". How many ad posts do you want? If you would like consistent promotion but without having to pay all up-front, choose this option to receive one email ad placement each month. You will be charged $39 monthly until you cancel (easy to do - just email us or cancel yourself in Paypal). Questions or problems? Email us at ads @ radioguestlist.com. Thank you for your support of RadioGuestList.com!